We are explorers, communicators, entrepreneurs, developers and advisors creating advanced photonic technologies with the sole purpose of improving our world. Our roles do not define us. We’re defined only by our vision and our ability to see it through. Together, we’re enabling scientific breakthroughs with our transformative lasers, we’re continually developing new systems and applications inhouse, we’re collaborating with some of the world’s leading research facilities, universities and innovative manufacturers and we’re always championing the global scientific agenda. As a fast-growing, founder-led company we have a wealth of career opportunities. 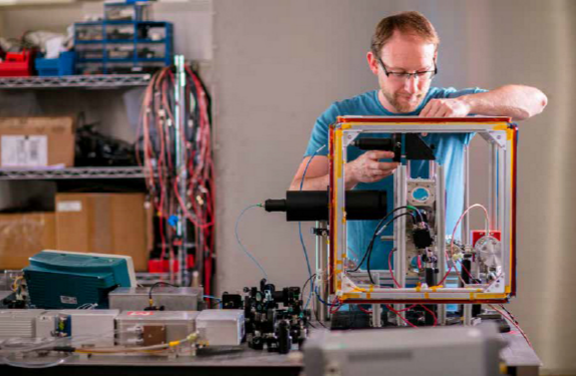 We’re always looking out for smart, passionate people to join our team, but don’t wait around for a role to be announced, tell us about your passion for physics, photonics, engineering or science. Whether you’re a seasoned professional, a PhD/MSc graduate or an intern looking for experience in the working world – we’d love to hear from you. Please forward your CV and a covering letter to careers@m2lasers.com. WHAT’S LIFE LIKE AT M SQUARED? A career at M Squared is varied and fast-paced. We move with the kind of start-up mentality and energy that enables teams to move flexibly and make decisions rapidly. Dedicated to lifelong learning, we’re always pushing boundaries and exploring new ideas. We believe in supporting our talent to explore their full potential and our employees are encouraged to make their roles their own – be that adding new responsibilities, changing departments or even switching roles during their career with us. We aim to nurture people and support personal development through mentoring and work buddies. We work with world leading scientists, universities and manufacturing brands, which makes M Squared an exciting destination for those making a move from academia into industry. As a deep-science business, our team naturally comprises a large number of graduate and post graduate scientists - more than 90%. One of the major differences between the world’s of academia and industry is the practicality of what we produce. We are scientists and researchers using our work to solve real world problems. Our teams take a lot of pride in seeing their work being used by scientists and customers all over the world. Our curiosity is driven by an innate drive to solve problems. We’re always listening, learning and discovering. Working in frontier science means we aren’t afraid to try new things – we thrive on new challenges. We push boundaries to ultimately go where no man has gone before. We collaborate across sectors and industries – but also across our business. Teams work collaboratively with all parts of the company and our open plan office is designed to facilitate the sharing of ideas. 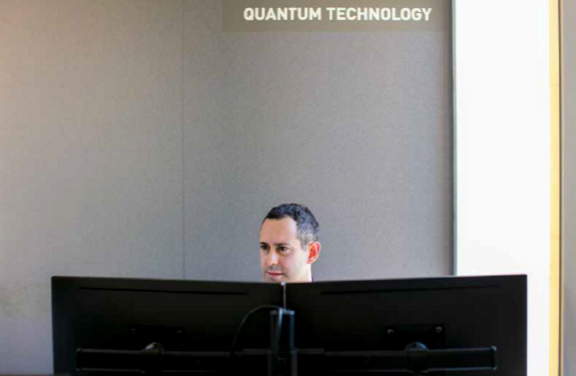 We enable some of the greatest minds in science and industry. It’s this ground-breaking work that wins awards, but we take equal pride in the trust our partners have in both our team and our products. We believe that aiming high yields the best results. That’s why we consider ourselves a photonics company on a mission to change the world. We’re a friendly and welcoming office – we work hard together, and we celebrate together. This helps us to keep a healthy and happy culture at M Squared. The company was founded and is headquartered at the West of Scotland Science Park in Glasgow, Scotland, a hub of academic and industrial photonics expertise and a long history of photonics innovation. For those based here, there are plenty of opportunities to get out and about, for example, many enjoy a lunchtime exercise session, a walk around the park, access to a sports complex and gym, and use of an on-site nursery for parents with young children. Science is global, and M Squared is global. Around 90 per cent of our business is outside of the UK. We have two offices in the USA, one in Palo Alto, California, home to some of the world’s most exciting technology companies and the other in Cambridge, Massachusetts near MIT and Harvard University. We also have offices in Glasgow, London and Surrey and another in Germany with a focus on innovation. We offer placements, secondment positions and knowledge transfer opportunities. We also help people to relocate from and to offices around the world. We pride ourselves in offering competitive salaries, a range of benefits, and excellent employee relations. We have dedicated HR resources to support individuals and develop talent. Our policy applies to recruitment, pay and conditions, training, appraisals, promotion, conduct at work, disciplinary and grievance procedures, and termination of employment. Our policy covers various services, benefits and facilities offered to employees (includes allowances and medical insurance, monitoring of working conditions, infrastructure for health, employee relations and insurance against sickness and accidents for workers and families). We offer employer pension scheme, Group Life, Income protection, private medical cover and childcare vouchers for all employees. We aim to be the employer of choice in our given field. We want to attract the right talent. We work hard to find people that are the right fit for our company, with similar ideals and ambitions. It’s one of the reasons we work hard to engage with the wider community through many events with universities and industry exhibitions. We don’t always stick to our niche, we also employ staff from alternative fields that can bring new experiences and skills.